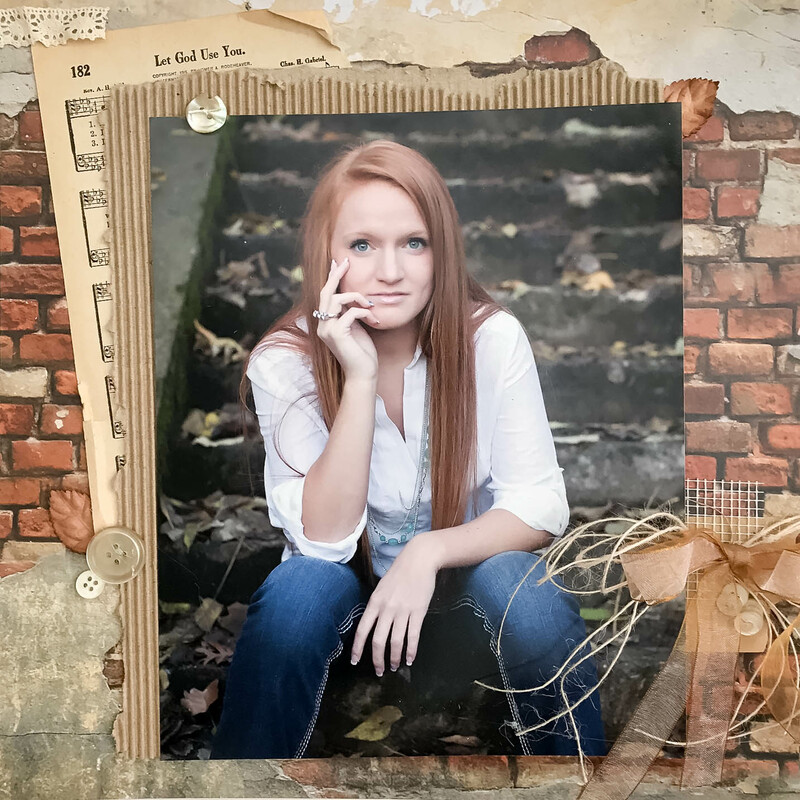 One of the many things I like to add to our family albums is simple words of faith. 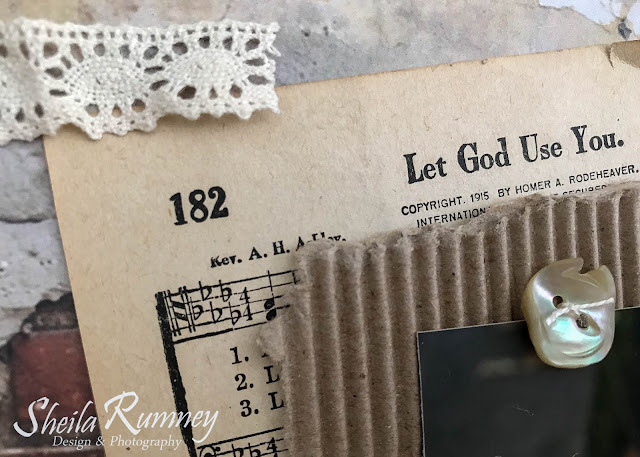 I have collected hymnals over the years and use them in a lot of my artwork. For this layout I added some gorgeous ribbon and lace from Really Reasonable Ribbon to add dimension and softness to this layout. 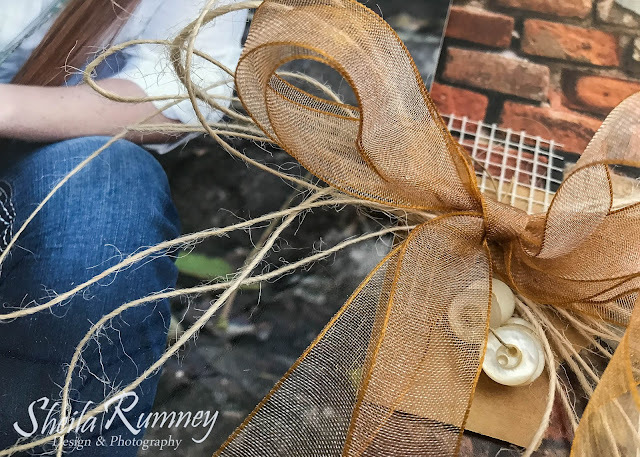 I used Sheer Iridescent Antique Gold Ribbon and paired it with the Burlap Natural String. Then I added the Chloe Natural Crochet Lace and vintage cream buttons. I then tucked a few of the Mulberry Leaves around the photo mat.